Noosa wedding photographer. Noosa wedding pictures. Adori Studios' Robeccer Mclean is a celebrated wedding photographer; highly-awarded in both Australia and internationally. Her talent is whimsical and glamorous wedding photography that is borne from her passion for weddings, an eagle eye for detail and 50-60 hours post production per job. Each album is Robeccer's labour of love driven by an unwavering dedication to beautiful pictures. 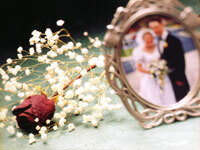 For full Noosa wedding information please click here.